As we were prowling the alleys of Rome on Monday discussing our plans for WikiLoot, a prize-winning documentary film was airing on Italian national television about the role of American museums in the illicit antiquities trade. Four months later, True and her bosses at the Getty changed their minds and agreed to acquire the wreath for $1.15 million, sending their payment to a bank account in the name of the impostors, who investigators later determined to be Greek smugglers. 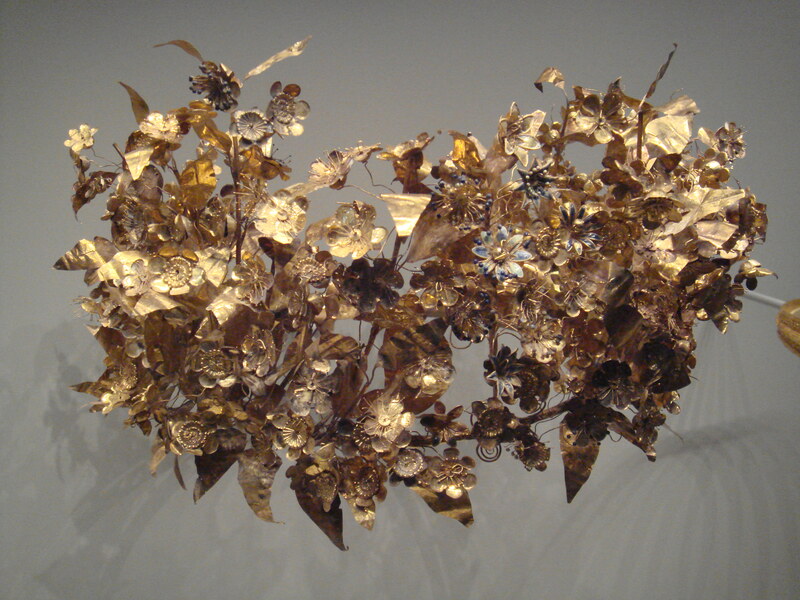 The funerary wreath had been recently looted from the royal Macedonian tombs of Northern Greece, possible from a relative of Alexander the Great. 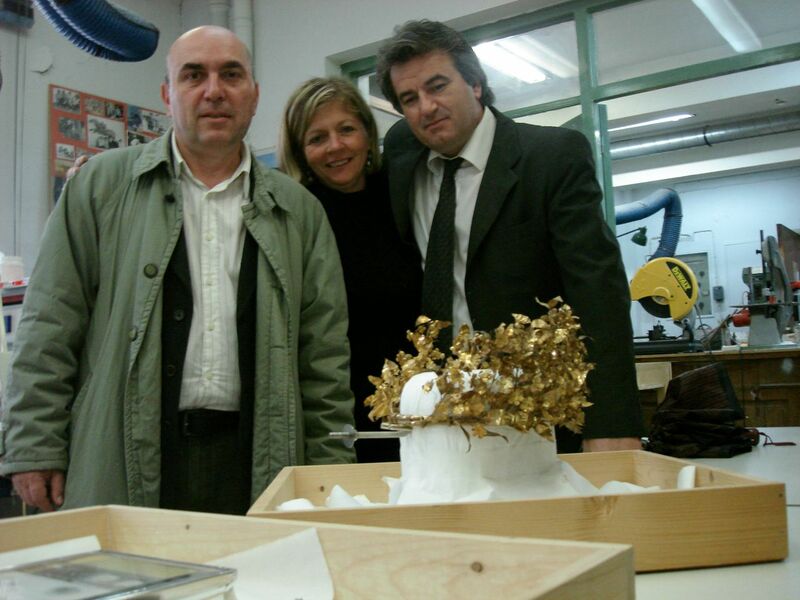 Nikolas Zirganos with members of the Greek art sqaud, celebrating the return of the golden funerary wreath. The documentary film follows the investigation of our friend Nikolas Zirganos, the Greek investigative reporter who we teamed up with to crack the case of the funerary wreath. His intrepid reporting pieced together the criminal investigation by Greek and German authorities that ultimately led to True’s criminal indictment by Greece. The time limit on the charges expired before she could go to trial, but in December 2006, the Getty agreed to return the wreath to Greece. 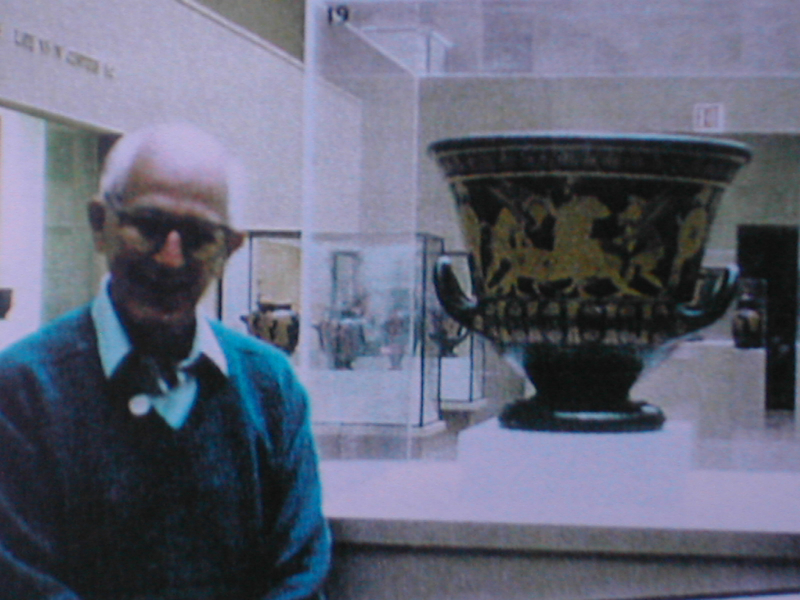 The film also features Italian prosecutor Paolo Ferri and his investigation of the Getty and other American museums in the illicit antiquities trade. 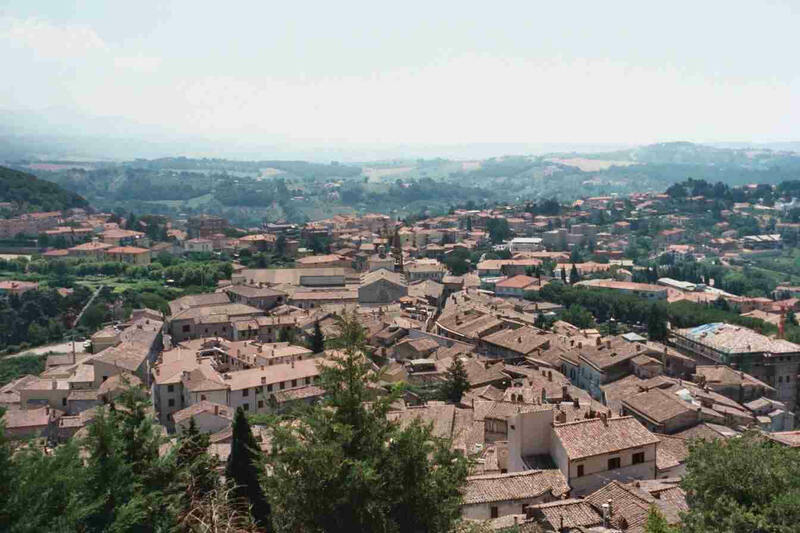 We’re off to Amelia, Italy this week for the 4th annual conference of the Association for Research into Crimes Against Art (ARCA). The program includes talks by some of the leading experts on the illicit antiquities trade, including Italian journalist Fabio Isman discussing the latest developments and Italian prosecutor Paolo Ferri on the use of international law to combat the trade. There will also be panels on the display of contested antiquities at museums, strategies for combatting the illicit trade, a review of recent legal cases and a panel on forgeries and fraud. On Saturday, Chasing Aphrodite will be honored with the Vallombroso Award for Art Crime Research. Jason will be accepting the award and discussing his latest initiative to combat the illicit trade, WikiLoot. It will be an opportunity to talk about the potential for the project, as well as the concerns some have expressed. We’ll take good notes and will report back from Amelia soon. Ciao! The criminal trial of Robert E. Hecht ended this week with no verdict, while Giacomo Medici’s conviction for trafficking looted antiquities was upheld last month by Italy’s high court. The trial of Robert E. Hecht Jr., the alleged mastermind of an international black market in ancient art, ended with no verdict this week when a three-judge panel in Rome found the time allotted for the trial had expired. Hecht, a 92-year-old Baltimore native now confined to bed at his home in Paris, has cut a wide swath through the art world since the 1950s, supplying museums and collectors around the world with some of the finest examples of ancient Greek, Roman and Etruscan art. Throughout that colorful career, Hecht has been dogged by allegations that his wares had been recently looted from archaeological sites and smuggled out of their homeland. It was a claim he never directly denied while maintaining his innocence of the Italian charges, which focused on an alleged conspiracy among dealers he considers rivals. The ruling brings an ambiguous end to a sweeping investigation that traced relics looted from tombs in Italy through a network of smugglers, dealers and private collectors before appearing on display at museums in the United States, Europe and beyond. The criminal case stemming from that investigation has dragged through Italian courts since 2005 and focused on Hecht and two co-defendants: Marion True, the former Getty antiquities curator, and Italian dealer Giacomo Medici. True’s trial ended without a verdict in October 2010 when the statute of limitations on her charges expired. Medici, who opted for a fast-track trial, was convicted in 2004, a verdict upheld last month by Italy’s highest court, which imposed an eight-year prison sentence and a 10-million-Euro fine, the largest in Italian history for such a case. 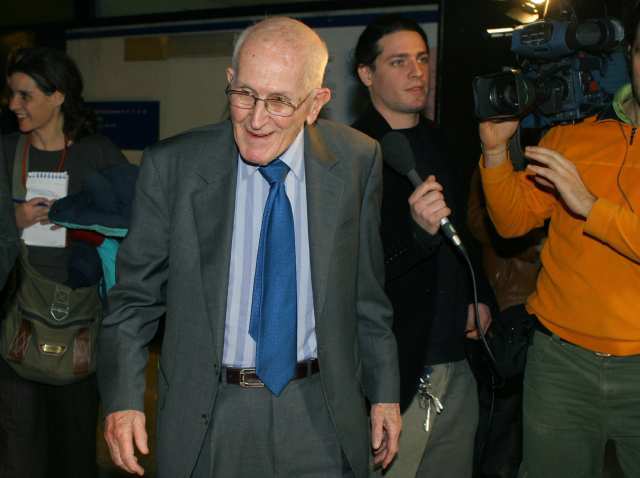 Paolo Ferri, the original prosecutor in the case, expressed exasperation with the Italian legal system, which he said made it impossible to conclude the complex cases in the time allotted. In Italy, months can pass between hearing dates in criminal cases — there were only about 18 hearings in the Hecht case over the six years, Ferri said. Ferri dismissed critics, mostly in the United States, who suggest that he had purposefully stretched out the cases because he lacked the evidence to convict. 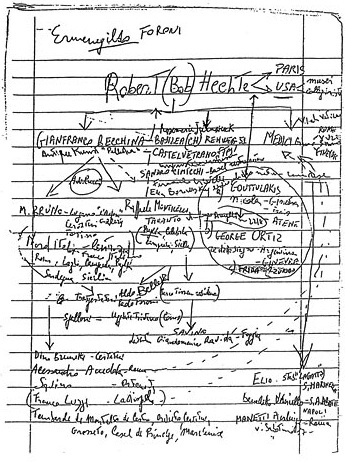 “There is plenty of evidence,” Ferri said, citing as an example Hecht’s own handwritten memoir, in which the dealer detailed his long career buying ancient art from Medici and other suppliers whom Hecht described as “clandestine diggers.” An organizational chart seized from a middleman in the illicit trade showed Hecht’s name at the top of a pyramid of suspected looters and smugglers. This chart showing the key players in the illicit antiquities trade was seized by Italian police in the 1990s. Evidence gathered during the investigation was compelling enough to convince American museums to voluntarily return more than 100 masterpieces of ancient art in their collections after they were linked to Hecht, Medici and other dealers. In 2007, the J. Paul Getty Museum offered to return 40 objects to Italy, including its prized statue of Aphrodite. Confronted with evidence of their own role in an international black market, American museums also adopted strict new acquisition standards designed to prevent the purchase of recently looted antiquities, the excavation of which results in the destruction of archaeological sites around the world. Still, the failure to bring the Hecht case to a verdict suggests Italy — whose national police force is widely considered a leader in policing archaeological sites — is still lacking a strong deterrent against further looting, a fact that Ferri acknowledged. “The truth is the Italian legal system is out of order,” said Ferri, who retired in 2010. Hard not to feel like Bob is having the last laugh here. But he didn’t sound well when we spoke, and his wife Elizabeth told me he was happy to have this done before he goes.